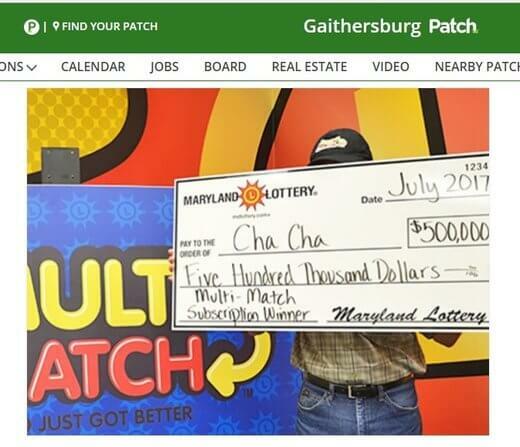 The 67 year old had subscribed to the game and later found that all six multi-match numbers on one of his tickets matched those drawn on July 3. The good part is that he did not even have to check the results to discover his windfall – lottery officials called to inform him about it. The lucky man share that this is what he likes about subscriptions. He does not have to check the results and there is no chance he’ll miss a discovering winning ticket. A long-time player, he says he has received a few checks for small wins before, but have never won anything close to half a million dollars. He even waited for his wife to come home before revealing their good fortune by handing her the ticket and reading off the winning numbers. He had a hard time getting her to believe they had won. He later chose to receive the prize as a single payment of $250,000. He is considering vacations, charitable donations, and helping with his grandson’s education.